Jess and Dano Kinnee opened Retro City Cycles in March 2007 in Ivanhoe Village because it is a fun, funky, awesome location, with great foot and bicycle traffic, and terrific neighbors! 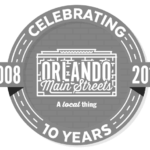 Dano originally fell in love with the Lake Ivanhoe area since his Mom was a nurse at Florida Hospital for 40 years, and this neighborhood was his stomping grounds growing up. 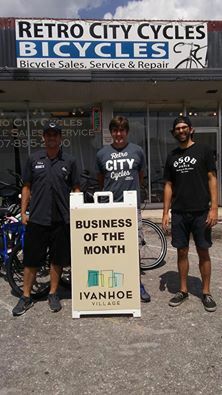 Being a part of Ivanhoe Village Main Street has helped them plan more events at their shop, both on their own and with their retail neighbors, and given them a greater connection to other Main Street businesses.